Personalized 10 inch plastic dinner plates are the perfect complement to any spooky Halloween buffet line or dinner party. Personalize with a festive Halloween design of your choice and your own custom message in your choice of printing options. 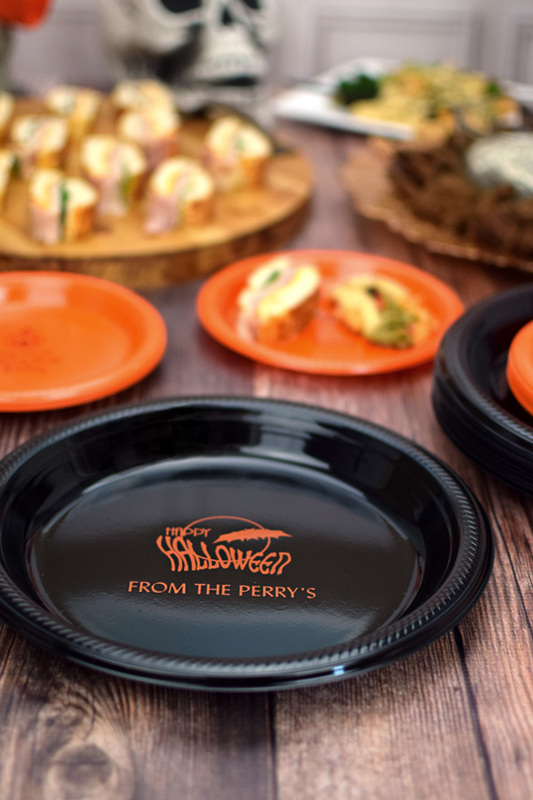 Add the finishing touches to your Halloween party decor with custom printed plates that are sure to stand out. All plates are made from thick plastic that won't fold under pressure and are printed with FDA approved food-grade ink. Personalized 10 inch plastic dinner plates are the perfect complement to any spooky Halloween buffet line or dinner party. Personalize with a festive Halloween design of your choice and your own custom message in your choice of printing options.